Krishna with Maa Yashoda. 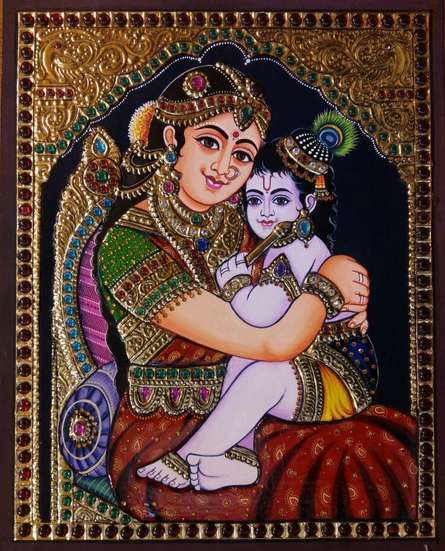 This painting symbolizes pure love between mother and child. Beautiful Tanjore painting made using ancient traditional method and are handmade.